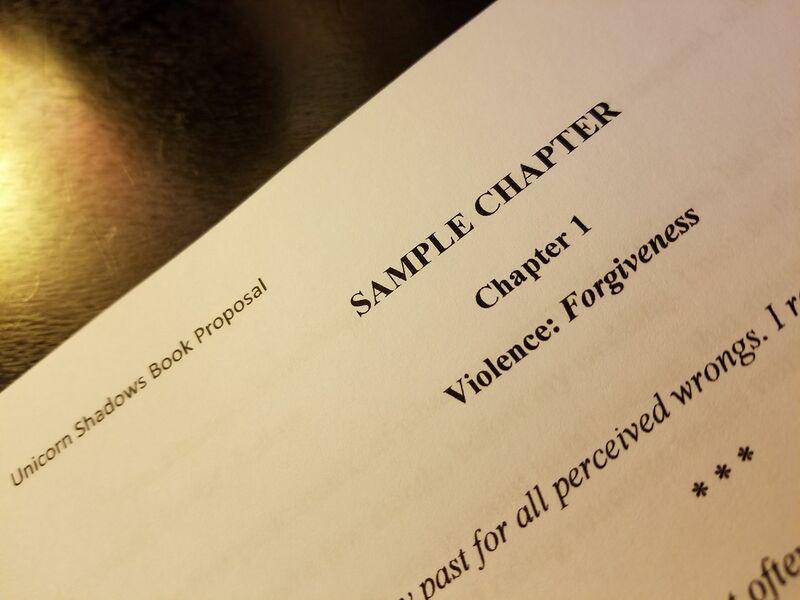 As I conversed with my amazingly talented editor, Alee, earlier today, I have to admit I was pretty blown away by how this process is unfolding. It’s as if the stars are aligning and I am seeing the path before me in this magnificent illumination of light. As Alee and I tossed around branding ideas for my new website, the themes for all of my endeavors came into clear focus: healing, hope, empowerment. She loved the idea of “hope for healing” which was the Tristate Trauma Network’s fall conference Trauma-Informed Care (TIC) banner theme. This book, Unicorn Shadows . . . a story of hope. Our Sammie therapy dog role and our Sammie’s Bundles of Hope Project . . . healing through therapy animal services and a hope-inspired project. My podcast, The Healing Place Podcast . . . a safe space to share stories of healing and hope. My upcoming speaking tour with a brilliant friend and leader in the TIC arena . . . continued sharing of the “hope for healing” message. These four areas of concentration are practically full-time jobs in and of themselves. Yet, I find myself energized and in a constant state of creative movement. I should be exhausted! However, here I sit, mulling over digital makeover suggestions; talking to the President/CEO of Hay House Publishing, Reid Tracy, on the phone during a Q&A session tonight; creating new business cards with my soon-to-be-released www.teriwellbrock.com displayed in happy purple font; designing labels for our Sammie’s Bundles of Hope “Hope Folders” for care-givers; and editing my sample chapter in the book proposal. My suggestion to anyone out there hoping to make their dreams come true . . . take one step toward that dream right now. Research something. Make a call. Send an email. Write your short-term or long-term goals out. Put your dream out into the universe on social media. Then tomorrow . . . take another step. And the next day . . . yet, another. And do not stop moving toward that dream until you are sitting in your favorite space one evening, around 8:15 pm, and your heart starts to smile as your soul whispers to it, “This is really happening”.